Sign up here and you'll enter the set up guide. Here's where you enter your store's details, insert coupon codes, upload your logo, and customize your email templates. 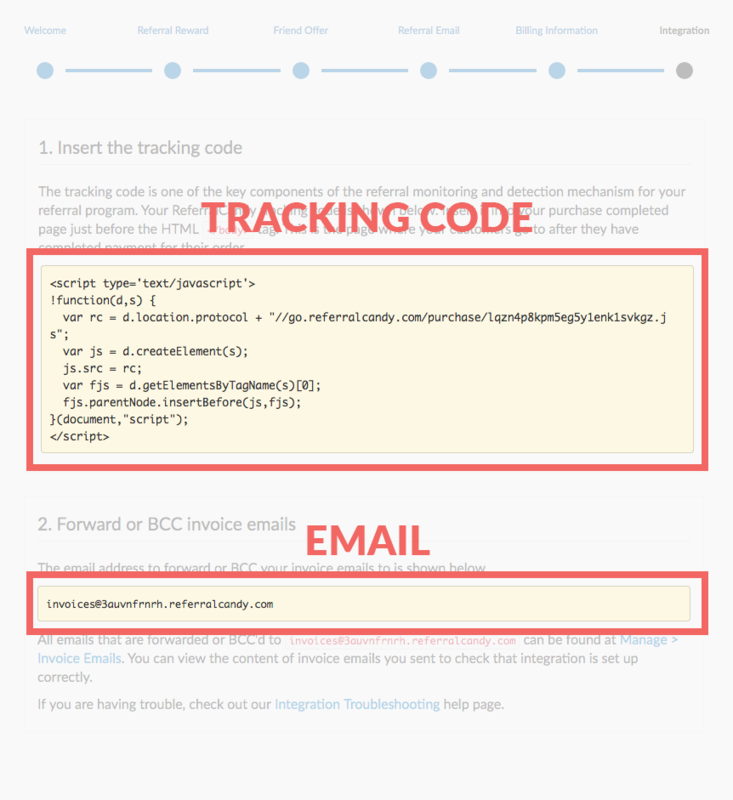 When you reach "Integration", take note of the tracking code and email! In order for us to run and analyze your campaign, you need to place a snippet of code on the purchase success page of your site. ReferralCandy generates the code, simply copy and paste the code. Copy us on the invoice email sent to the customer each time you make a sale. (Customer information NDA available upon request). *If you are unable to do Part C, you can use one of our Advanced Integration options to provide us with your store's order information. Looking for setup guides for other platforms?